Shum felt like having Jap for lunch so we decided to go to Hokano. As it gets pretty crowded during lunchtime, we went there before 12.30pm and found a nice spot at the corner. Shum ordered the Smoked Salmon Salad (RM10.95) and a bowl of plain udon (RM8.95). We also shared a Salmon Avocado Roll. The mix-fry set wasn’t available so I stuck to my favourite Chicken Katsudon. Our intern had the Chicken Teppanyaki set. The salad was alright – it’s eaten with the sauce provided which was very tangy. 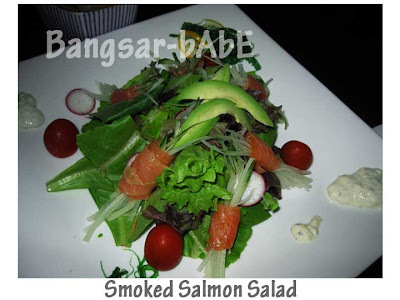 The salmon slices were nice and tender, but I would prefer the vegetables to be better chilled. According to Shum, the udon was average tasting. Nothing to shout about. 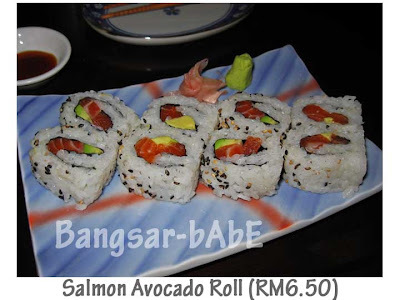 The salmon avocado roll was very nice. The tender salmon pieces was lovely with the creamy avocado texture. The roll tasted better with a dip of wasabi and shoyu. As usual my Chicken Katsudon was delicious. However, I wasn’t too happy with the price increase and the smaller portion. I thought petrol price went down? o_0 The intern gave her Chicken Teppenyaki the thumbs up. 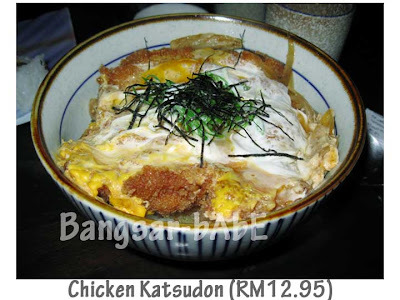 I’ve tried it before and thought it was not bad, but I still like the Chicken Katsudon better. For RM15.95, it was really value for money.